Quatro is delighted by the decision of Brighton and Hove Planning Committee to approve Legal and General’s plans for the Longley Industrial Estate. The approved Build-to-Rent Scheme is the first of its kind for Brighton, delivering homes that are specifically built for renting and made available on long-term, secure tenancies. 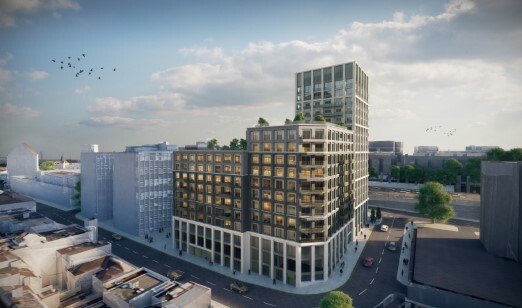 The accepted proposals include over 200 new homes, approximately 3,000m2 of commercial space including creative workspaces for Brighton’s budding entrepreneurs, as well as public realm improvements in the thriving New England Quarter. Our team orchestrated a successful, wide reaching public consultation over a number of months, including two Public Exhibitions, to help engage the local community on the proposals. This work was complemented by a digital engagement programme which helped to build support for the scheme, with over 50 positive letters submitted to Brighton Council. Indeed, the level of support for the application in the local community was noted by the Planning Committee Chair during last week’s meeting.